I HAVE A BOOK COVER, EVERYBODY! You guys, I am SO excited. I have just received the final version of my book cover! Created by Tiffany Heiser, Graphic Artist at Fantasy Works Publishing, here, without further ado, is the cover of The Order of the Key. Jacklyn Madison has a thing for heroes. She reads about them, watches them on TV, and would very much like to become one. 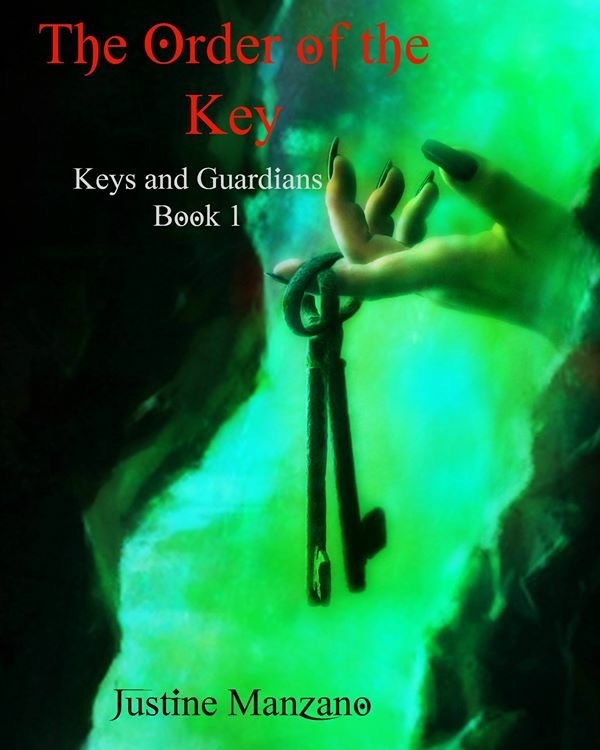 When a mysterious beast makes an attempt on her life, she discovers she is a hero—the long lost member of The Order of the Key, a group of humans with unique gifts that protect humanity from creatures that come through inter-dimensional rifts. It’s all fun and games until training reveals the Order’s out-of-touch views—Keys like Jacklyn are protected, while Guardians like the rest of her family are considered expendable. As she rails against their value system, she finds herself in the center of a power struggle between the group’s leader, Lavinia, and her idealistic son, Kyp. Believing Lavinia to be engaged in hidden criminal activity, Kyp spearheads a secret effort to overthrow the leadership of the Order, and Jacklyn quickly signs on. As Kyp’s efforts to protect his team from his unpredictable mother entangle them in a mire of danger and deceit, Jacklyn must find a way to keep the people she loves safe—from those the Order was chosen to fight, and those operating within. So that’s my big announcement! Stay tuned for more info, soon! So excited for you – looks brilliant!